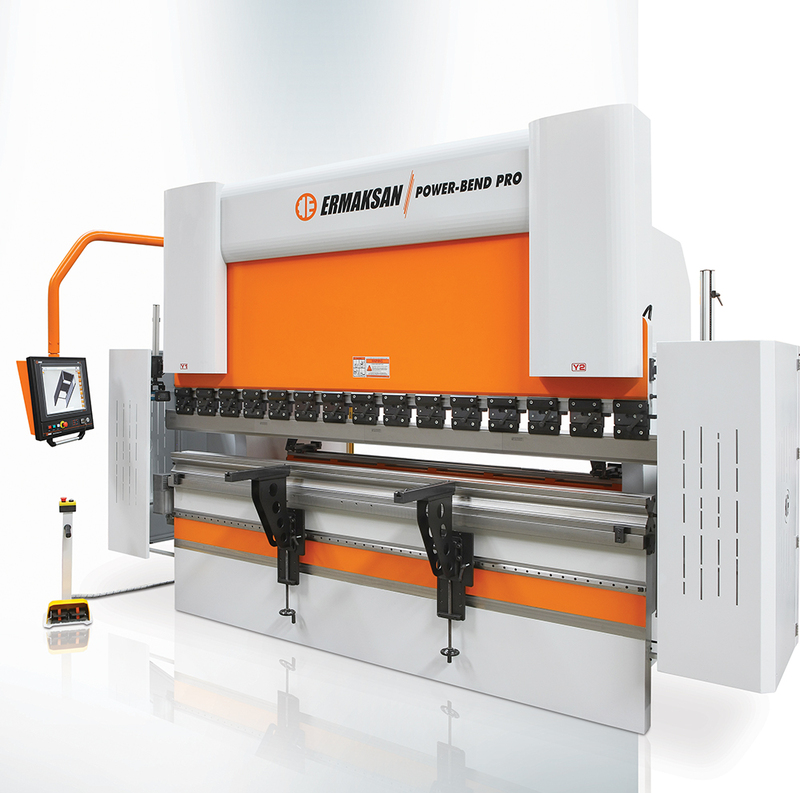 POWER-BEND PRO 3 Axes CNC Press Brake - G & W Machinery Sales, Inc.
CYBELEC CYBTOUCH 12 PS 2D graphical controller with PC-ModEva 2D software. Crowning system in bottom beam 3100/…/4100 - 260 - 320 manual crowning and from 400 tn and above motorized crowning is standard. Special stroke and throat depth gives extra advantages for deep bends. Delem ER70 controller (up to 5 axis). Cybelec ModEva PAC Touch controller (up to 7 axis). ER90Plus controller (3D touch screen). Special back gauge fingers can be added on optional backgauge stroke. Hydraulic oil heating and cooling. Custom made table width and bottom tool V openings. Optional top and bottom tools in different length. Special tools for box and pole bends. WILA type top and bottom tool clamping system. Rol1, 2, 3, 4, 5 different top and bottom quick release clamping systems. 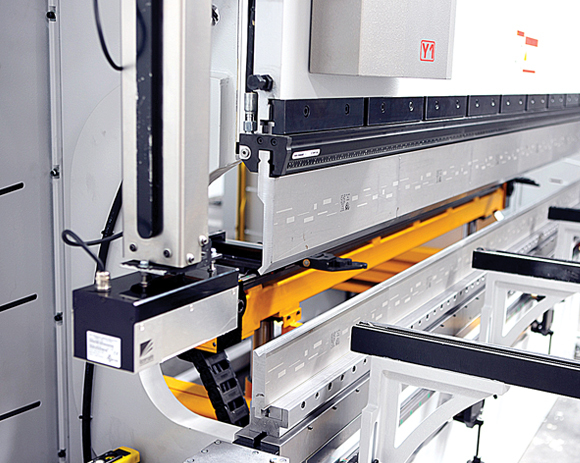 Tooling cabinet mounted to side of the machine to keep your tools clean and in easy reach. Automatic sliding system is lubricated automatically which is highly recommended to extend life. U type special bottom tools for bending thick materials. Additional front support arms to prevent waves on thin materials. Custom made machines upon customer special parameters. AP3 / AP4 front sheet support arms. Special parking units for front support arms. Electrical panel and / or controller can be mounted on right side of machine upon customer request. 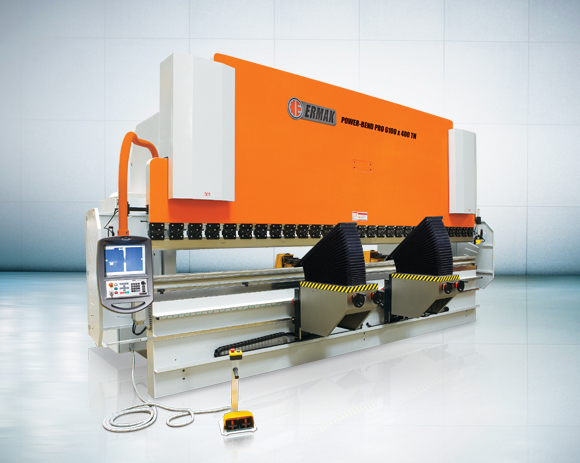 gned based on users preferences to become a unique machine with its individual electronic and mechanical features.